Seeing blood after you floss or brush your teeth is usually the first symptom of gum disease. Even if you are brushing aggressively, you still shouldn't have bleeding gums. Brushing your teeth too hard is not a good dental habit, especially if you have swelling or already irritated gums, but there is usually an underlying periodontal problem causing your gums to bleed. Color changes and inflammation in your gums are signs of disease. Gums that are purple or dark red, especially if they also bleed, are a critical sign of periodontal disease. Sometimes, gums can change color due to certain lifestyle habits (such as using tobacco or a poor diet), which increase your risk for oral health problems. Also known as a deep cleaning or SRP, scaling and root planing is a procedure your dentist can perform to clean out the bacteria, tartar, and plaque buildup in your gum pockets. First, the dentist will use a tool known as a scaler to remove the tartar and plaque from your gum pockets. Then, they will plane (or smooth) the enamel so there are fewer areas where debris and bacteria often get trapped and turn into buildup. A few scaling and root planing treatments can usually correct gingivitis and reverse most of the damage done to your gums. Gum surgery will improve the deep pockets that cause all the problems (collecting bacteria, getting infected, and raising your gumline). Depending on your condition, there are many ways to perform gum surgery. 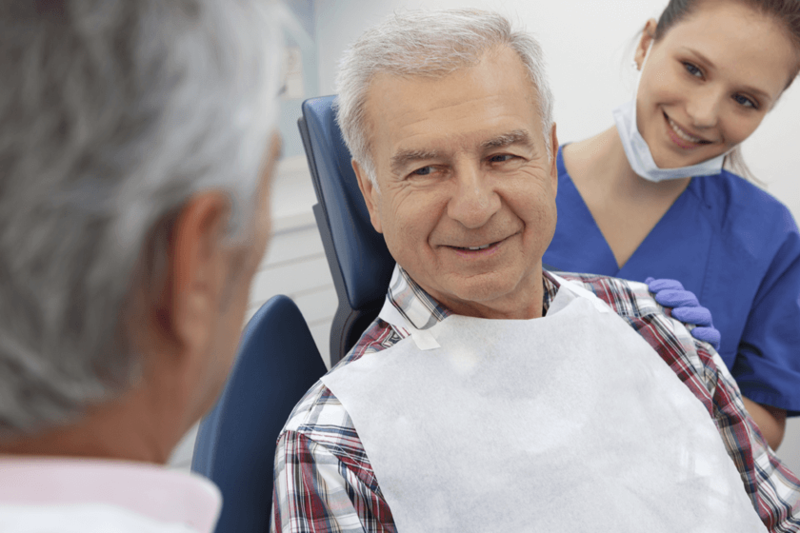 After periodontitis is diagnosed, your dentist will discuss your options before developing a careful plan for your surgery and follow-up treatment. If you have signs of gum disease or you are at high risk for developing it, speak to your dentist. DentalWorks - Easton will diagnose gum disease and then create your custom treatment plan. We can usually reverse gingivitis with one or more scaling and root planing (SRP) treatments plus antibiotics. When the issue has advanced to periodontitis, our practice in Columbus, OH can perform laser gum surgery to repair your health.